I can’t explain how much I love grilling ribs. I think my Cayenne Sugar Ribs can start to explain my obsession. I still get asked if grilling ribs is as easy as I make it sound online and my answer is always YES. 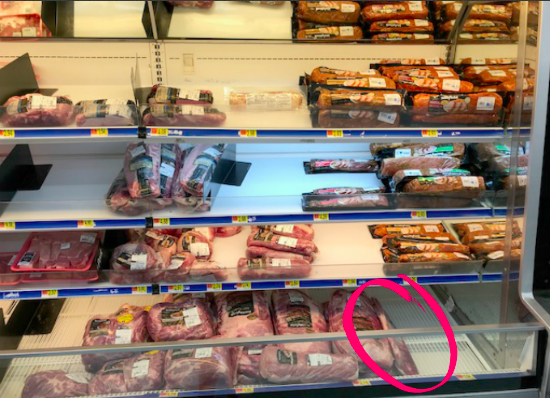 I always gravitate towards Smithfield Extra Tender Pork St Louis Style Ribs from Walmart. 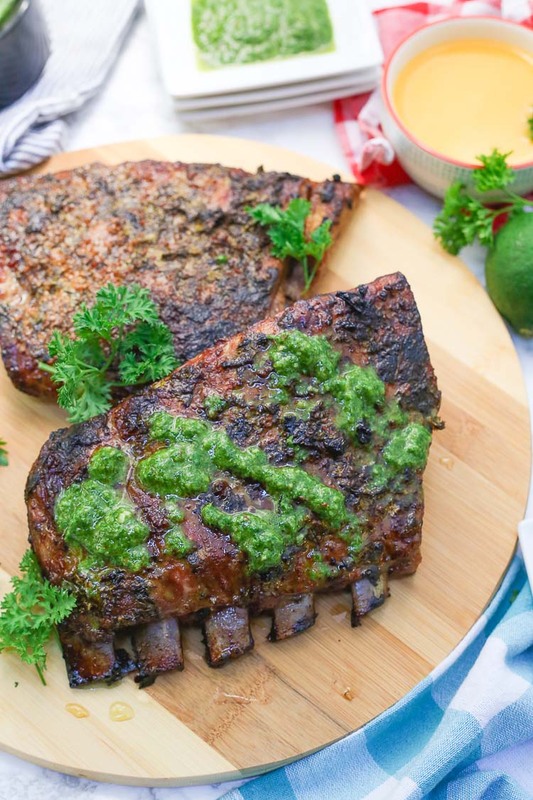 These pork ribs are always tender, always juicy, and always grill up perfectly. 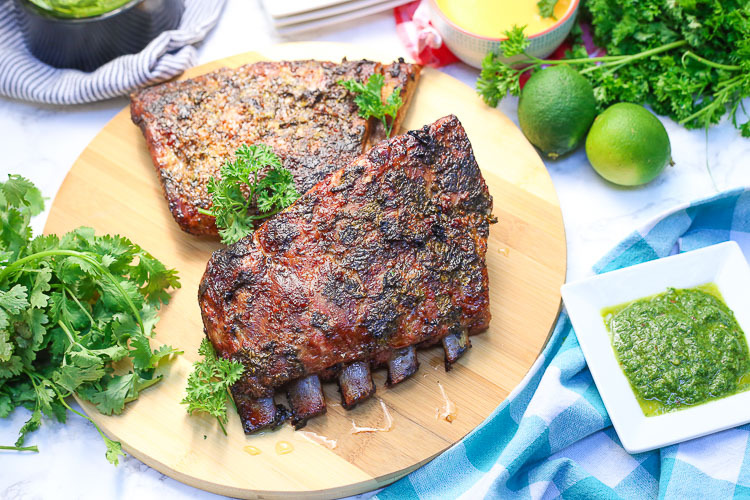 These cuban mojo marinated pork ribs are perfect for entertaining on the backyard grill and easy enough for a weeknight treat. 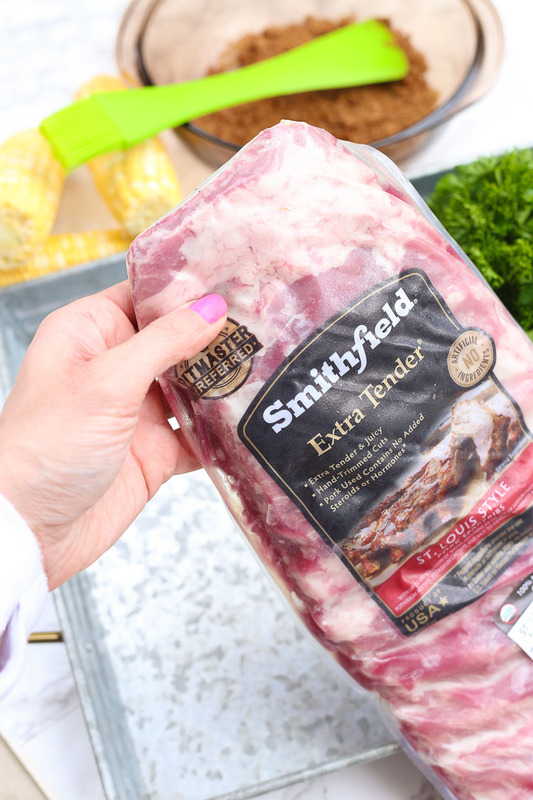 Actually no matter which recipe you choose Smithfield Fresh Pork is perfect any night on the grill, whether a great weeknight meal or getting together to barbecue with family and friends. 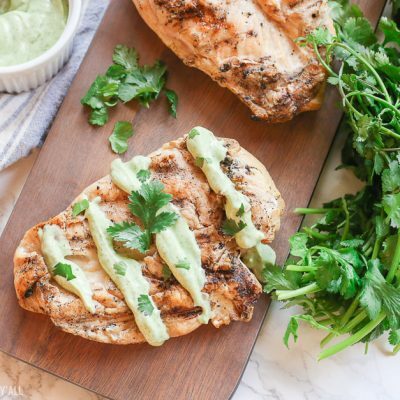 An easy Cuban mojo marinade is made by combining fresh orange juice and lime juice, cilantro and mint leaves, red pepper flakes and ground cumin. 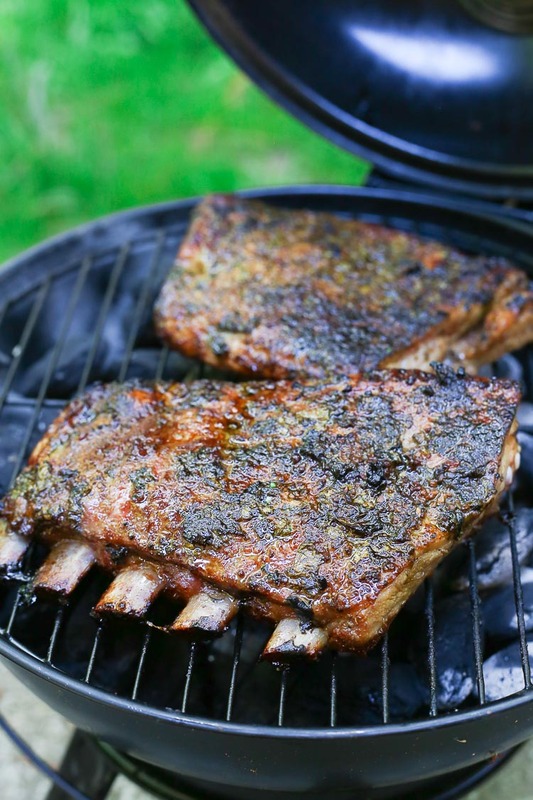 The Smithfield Pork Ribs are marinated overnight in the Cuban mojo marinade and then the ribs are grilled on the grill over medium heat for 1.5-2 hours. 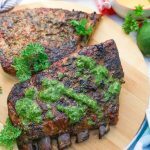 While the ribs are sizzling on the grill, the chimichurri sauce is made by combining fresh parsley and cilantro, garlic, olive oil, and more lime juice. 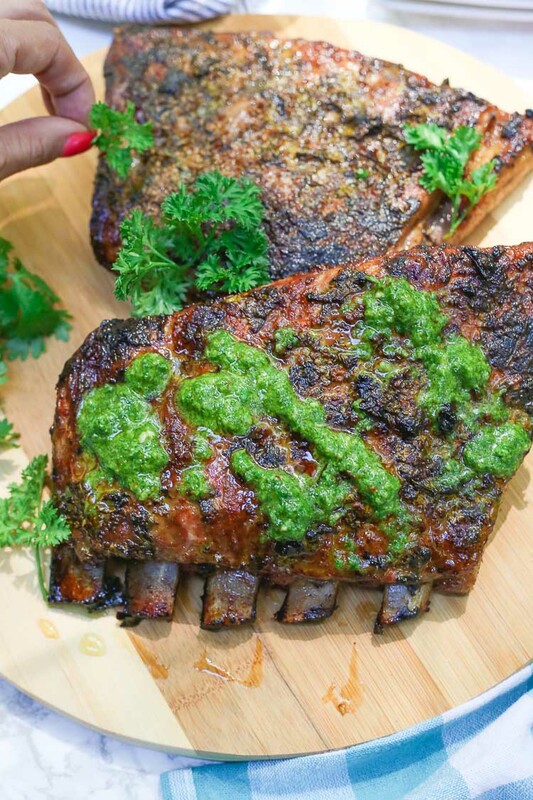 Once the ribs are done, they are removed from the heat and allowed to cool before being drizzled with chimichurri and devoured. 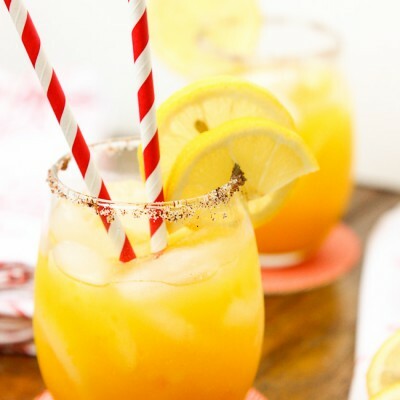 How easy is that y’all?!? 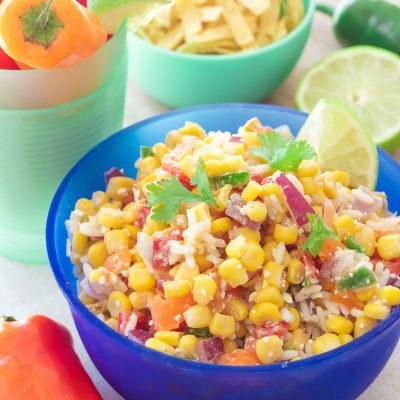 Make sure to check out the Hero of the Grill Contest and Sweepstakes at SmithfieldGetGrilling.com where you can share and nominate who inspired you to get grilling for a chance for your hero to win $5,000! Not to mention you can enjoy great grilling content and enter for a chance to win prizes EVERY DAY!